Join the OFFICIAL Fan Club. Betty on..."Dennis The Menace- Strikes Again!" 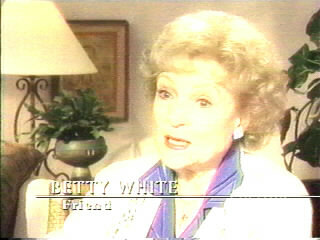 Betty on Who's The Boss? 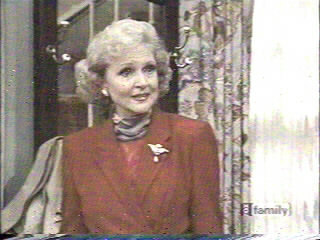 On this page, are different screenshots from shows or specails that Betty guest starred on. Enjoy! 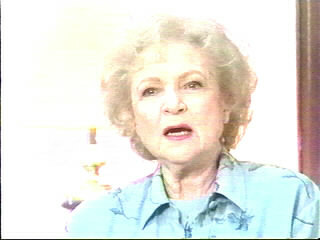 Above and Below: Screenshots from Estelle Getty's Intimate Portrait. 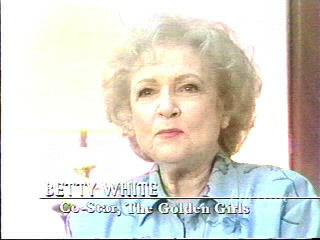 Above and Below: Screenshots from Rue McClanahan's Intimate Portrait. 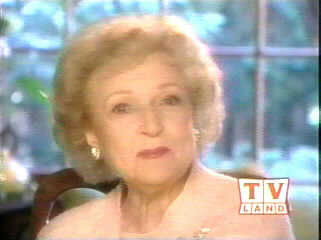 Betty talks about 'The Mary Tyler Moore Show' on TV LAND. 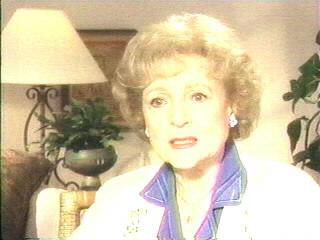 Below- A screenshot from 'Who's The Boss'. Thanks to Tony Bolado, who donated this wonderful screenshot! 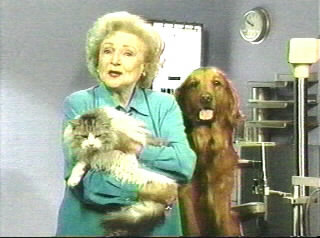 Above and Below: Screenshots of Betty on a commerical for The Morris Animal Foundation. 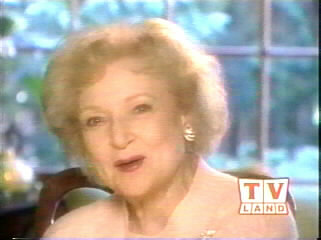 America's Sweetheart, Betty White copyright of Lauren Adler, February 2001. Screenshots or Texts may not be copied or reproduced in anyway with out permission from the webmaster.